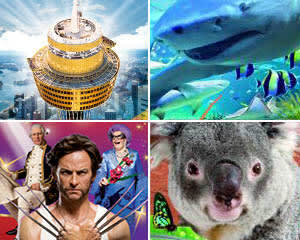 Gifts Under 100 Experiences For Moments To Treasure At Adrenaline! Gifts under 100 give you a whole lot of experiential love at Adrenaline, with an endless selection of priceless experiences to treasure. 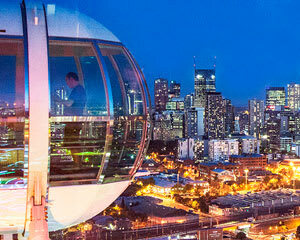 You’ll feel like a million dollars when you partake of the big savings and long-lasting value in an enticing range of Australia-wide gift experiences. The exhilarated recipient will think all their Christmases have come at once when you choose from the vast array of land, air and water-based gift experiences available online. 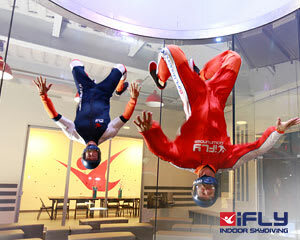 Indoor Skydiving Gold Coast, iFLY Intro Package (2 Flights) - MARCH SPECIAL! Great deals on unique gift ideas abound at Adrenaline. Deluxe afternoon teas amid breathtaking scenic surrounds, irresistible chocolate tours, a range of cooking classes, brewery and winery tours to savour, and more, make the perfect gifts for foodies and wine lovers of all tastes. There’s also a new range of gift activities for kids of all ages that promises an action-packed package with cost savings to match. 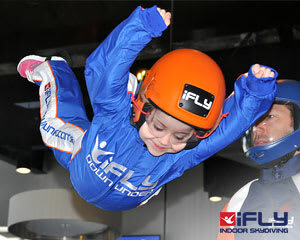 You could choose from indoor skydiving experiences, combination theme park entries, zoo and aquarium activities, the full-throttle V8 power of jet-boat rides or more sedate pace of tall-ship cruising on spectacular Sydney Harbour, quad biking, sand boarding, horse riding, escape room and virtual-reality adventures at all locations, abseiling in Melbourne, Brisbane, Adelaide and elsewhere, rock-bottom priced paintball experiences, and so much more in store. Speaking of geology and also scaling new heights, if you purchase rock-climbing adventures in Melbourne and Brisbane, you’ll also come out in front as priceless gifts under 100. 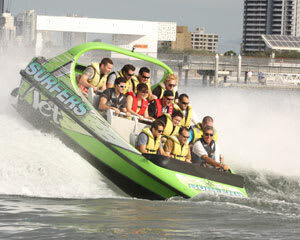 Whether selected as birthday experiences, special-occasion gifts and a huge range of fun-filled events that have custom curated for couples, families, men and women, Adrenaline puts the widest range within range. You could also place the concept of gifts under 100 within tangible reach for the recipient when you give an Adrenaline gift voucher. 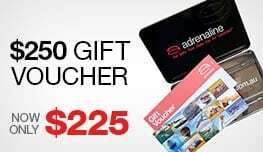 Gift vouchers start from just $25 and can be used to redeem any number of the experiences offered online at Adrenaline. All vouchers are also valid for three years, can be instantly emailed to the lucky recipient or pre-ordered to arrive in a trademark brushed metal gift box. This keepsake presentation value forever reminds the receiver of your thoughtful gesture – and you can’t put a price tag on the gift of cherished memories. Why give experiences instead of gifts? If the gift is in the giving, then the intangible value of a unique experience provides immeasurable pleasures to treasure. Giving the gift of an experience, especially one that affords change from $100, is a winning duo for the gift giver and receiver alike. The gift of an experience that has been thoughtfully considered and generously provided speaks volumes about the significant contribution both the giver and recipient impart in each other’s hearts. What are the best experience gifts under 100 for him or her? 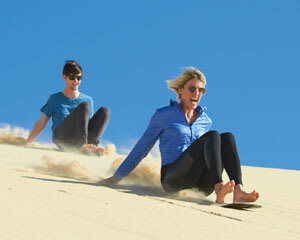 Experience gifts under 100 have been expertly selected at Adrenaline to suit him, her or both together. 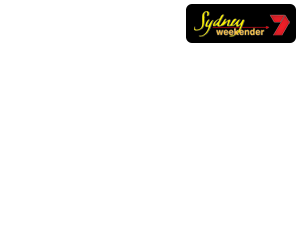 The Sydney Harbour High Tea At Sea Cruise experience is a best-selling gift under 100 that suits guys and gals with a taste for gourmet excellence and scenic splendour. Your fast-paced guy would thrill to the quick burst of a scenic helicopter ride over the dazzling Gold Coast, Brisbane and other equally sparkling destinations. While in Queensland, he would also love a 1 Hour Harley Tour Of Brisbane in the Special Offer- 2-for-1 deal, which means his favourite gal could also go along for the ride. The Trike Ride For 2, 1 Hour – Hunter Valley would also place you both in the hot seat to cruise and view the majesty of this premier NSW wine region. You or he might prefer to go it alone in the wildest ride on four wheels with the Extreme 4x4 Taster Drive at Avalon Raceway. This rip-roaring gift experience for dedicated rev heads also charges in fitting form for the gift giver, with change received from $100. When on the waterways and in season, she would love the Whale Watching with Breakfast or Lunch – Darling Harbour experience or Dolphin Watching and Sailing Cruise at Nelson Bay, Port Stephens. If she or he prefers to head underwater for first-hand exploration value, you can’t go past experience gifts under 100 of a mesmerising snorkel tour and nature walk in Manly or the magical Snorkelling, Snorkel Tour With Sea Dragons at the Mornington Peninsula. 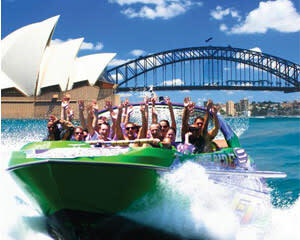 You might even receive an invitation if you drop a subtle hint while giving the gift experience of a Speedboat Tour For 2 at Phillip Island or a romantic Sydney Harbour Sunset Dinner And Drinks Cruise. What are the experience gifts ideas for people who have everything? 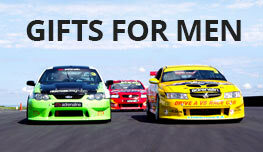 Giving gift experiences for the person who has everything can always mean something for next to nothing at Adrenaline. You’re limited only by imagination with the magnanimous offerings that you can find online to match every taste and all ages. A studio photography session at Moonee Ponds in Melbourne is the perfect group or solo gift experience that provides a lasting memory for the giver and receiver alike. Giving the gift of flight for loved-up couples or best friends is infinitely possible for under 100 with the unforgettable offer of Parasailing Tandem For 2 from Sea World Resort on the Gold Coast. Capture the aerial spectacle of this breathtaking experience and setting in tandem with the creation of lifelong memories. 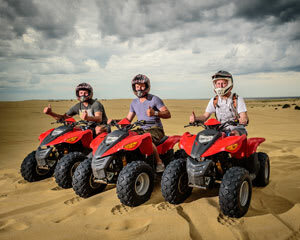 There’s simply no end to the savings and unique experiential value when you turn to Adrenaline for all your experience gift ideas for under 100.